A belated Merry Christmas, Kaybee. Here’s hoping the Padres hang on to KOUZ! Hope you had a great Christmas! Gaslampball=Awesomeness. I’m not so sure if I should approve Dusty Ryan this early. He seems like a great player but I expected a well-experienced vetran catcher as well. He should bring something for us. Personally, I want Nick catching most of the games rather than Ryan. Plus, Nick is pretty cute 🙂 Talk about the Chargers! I watched the incredible game against the Titans and this club is on a roll. Will we win the Super Bowl? There’s a possibility! I got some time to watch Ryan in Detroit. A couple of things I noticed is that he has some power and struggles defensivley. He would actually make a better first basemen than a catcher but he probably never will make the move. Ryan was once a very promising young prospect that simply never lived up to his full potencial. I do think he will make the team in spring and perhaps be a starter. He does know a thing or two about catching though. 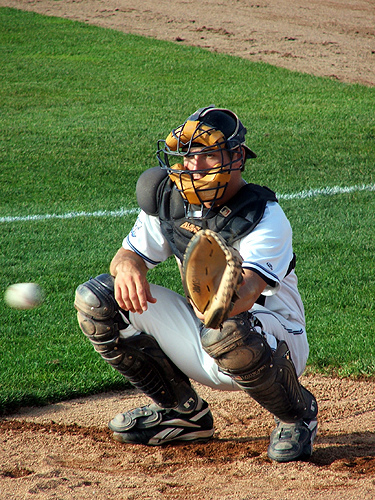 He has been taught by the all-time best in Ivan Rodriguez and a few things from Gearld Laird. He will be a good learder/teacher and will give you 20-25 HR’s if he starts. He just needs help to stop the running game. And the saying goes, if you can’t do, teach. I think that is going to be the case for Dusty Ryan in San Diego. Gosh, things are looking great for San Diego sports right now. The Chargers are amazing, and I hope you stay happy with any offseason decisions the Padres make. Good luck to them, and happy holiday season! Hope you had a great holiday and now have a Happy New Year as well! I like the Dusty Ryan pickup as well, it could be a low-risk, high reward move. Have a great new year and merry late Christmas!